So it cost $3 to get rid of the ads. They where annoying so I went ahead and did it. It was only $3. however, in order to unlock certain characters, you have to use a certain amount of "second chances“. Which allow you to continue the level of you fail it. But to do that you have to watch an ad. So paid to have ads removed, just to turn around and watch them so I can use the "second chance“ gimmick to unlocked characters. That brings it down a star because that pretty much sacrifices my reasoning for giving this developer $3 in the first place. That’s just my personal opinion. It’s not a major deal. Just thought it was worth noting and to let others know on if you should or shouldn’t pay to remove ads. With ads It’s can be laggy at time and some ads require you to completely close the game app and reopen it. That’s why I paid to have them removed but it was kinda pointless. As far as gameplay goes. It’s a great time killer and both me and my girlfriend love it. We’ve spent a few hours on it already. It really is a fun, little game to kill time with. I love the game, when I CAN play it. Most of the time, those annoying adds pop up, and I mean, there’s on 4 CHALLENGES!!!!!!!! And plus, half the time it WONT EVEN LOAD INTO THE GAME!!!!!!!!! And when it does, it takes like, FIVE HOURS to load. I would give this game five stars, but THE GAME NEEDS TO BE FIXED!! Does anyone agree? 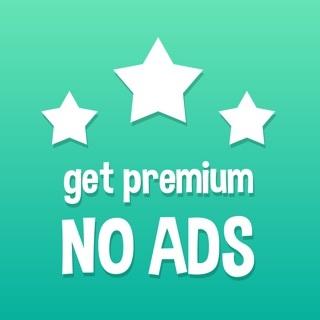 My mom finally let me get premium, but I CANT GET INTO THE GAME!!!!! So I deleted the game then got it again, but THEN MY PREMIUM WAS GONE!!!! What this game really needs is to save progress, because if someone got so addicted to the game, then got tired if it and deleted it, then two years later got it again, but they had premium so there was no adds and it saved, it would be AWESOME!! But noooooo, it doesn’t work like that. And in the add I saw this game in, it was like ‘after 123 tries, I got 54!’ But it isn’t that hard AT ALL!!!! I like it when there are challenges, and you know what would be really fun? If they cut the edges off when you don’t get it directly on! It’d be such a fun challenge, and even if they didn’t do it on the real game, at least have it in the challenges! I love the game, but they really need to fix it. I really like this game a lot. So much, in fact, that I bought the game to get rid of the ads. It DID get rid of most of the ads, but when you use the ‘second chance’ option (basically an extra life), you have to sit through a 30 second ad. I understand the importance of putting ads on a free game, but after I pay for the game with the promise of ZERO ads and I still get ads, I feel cheated. Especially since you need to sit through them to complete some of the challenges. This is ridiculous. I want to give this game 5 stars, but I rate it so low because I HATE being deceived like that.